About 570CE, somewhere near the city of Mecca in present-day Saudi Arabia, Mohammad was born. Faithful Muslims believe Islam was revealed to Mohammad about forty years later. Today Islam is a world religion practiced by more than 1.5 billion people. Mohammad was orphaned at a young age and raised by an uncle, the leader of an important tribe. As an adult, Mohammad married, fathered children, and worked as a camel trader. Though he had a prosperous life, Mohammad was often restless, so he frequently withdrew to a cave where he would meditate and pray. Sometime around 610, Mohammad said the angel Gabriel visited him in the cave. For the rest of his life, the angel provided Mohammad with messages to share with his community. The most important of these messages was that there was only one God, called Allah in the Arabic language, and that Allah alone should be worshipped. The angel taught Mohammad that Allah was the God of Abraham who was worshipped by Christians and Jews. According to Hebrew tradition, Abraham was forced to abandon his son, Ishmael, in the desert, but he received assurance from God that one day, Ishmael’s descendants would form a great nation. The angel told Mohammad that his people were the descendants of Ishmael and that Mohammad was the prophet who would lead his people to greatness. Muslims believe that many prophets came before Mohammad, including Jesus, but Mohammad was the last of Allah’s messengers. 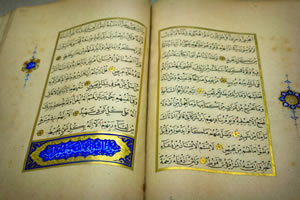 Eventually, the angel’s messages were collected in the Quran, the Holy Book of Islam. Mohammad preached Islam, which means “submission to God." The people who practice Islam are known as Muslims, or “those who submit." As Mohammad’s message began to spread to the citizens of Mecca, the leaders of the city felt threatened. In 622, Mohammad and his followers fled Mecca for the city of Medina. This journey—called the Hijra in Arabic—is the starting date of the Islamic calendar. Once in Medina, Mohammad led his adopted city into battle and defeated Mecca. 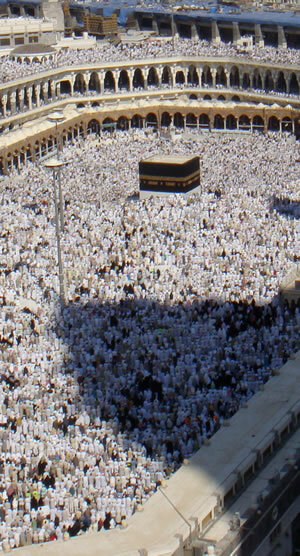 Mecca was home to the Kaaba, an ancient shrine filled with images of gods and goddesses. The prophet ordered that all gods and goddesses be removed from the Kaaba and that the shrine be rededicated to the worship of Allah. Within a century, Muslim warriors captured many former Christian and Jewish cities to create an empire that extended across the Middle East and North Africa. In 711, Jabal Tariq led a Muslim army across the Strait of Gibraltar from North Africa to conquer most of present-day Spain. Tariq’s forces then crossed the Pyrenees Mountains into what is today France. It was there that the grandfather of Charlemagne, Charles Martel, turned back Tariq’s army at the Battle of Tours in 732. By the thirteenth century, Christian rulers had reasserted their authority in Spain. The Reconquista (reconquest) of Spain was complete by 1609, when King Philip III banished Muslims from Spain. After Mohammad’s death, his followers disagreed over who should lead Islam. Some Muslims believed the caliph, a term that means “one who follows," should be chosen by the faithful. This group, the Sunnis, comprise nearly ninety percent of present-day Muslims. Another group believed the caliph should be someone from Mohammad’s immediate family. These Muslims are known today as Shiites. Shiites live primarily in present-day Iran. Today, Muslims predominate throughout most of the Middle East and North Africa, though Muslims live throughout the world. No matter where they live, at least one time in their life, faithful Muslims believe they should travel to Mecca, the place where Islam was first revealed to Mohammad. Muslims believe that depicting an image of any of the prophets is disrespectful. 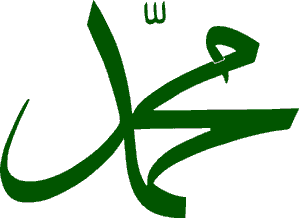 Mohammad is often identified with this icon, a representation of his name in Arabic. 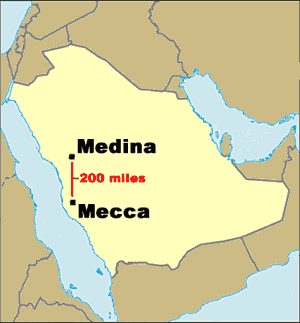 Mohammad and his followers left Mecca for Medina in 622. Their journey, called the Hijra in Arabic, is the starting date of the Islamic calendar. The Quran is the Holy Book of Islam. Muslims believe Muslims believe the the angel Gabriel revealed the word of Allah (God in Arabic) to the prophet Mohammad. 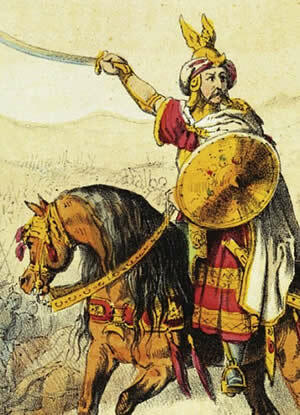 Jabal Tariq (Tariq ibn Ziyad) (c.670 – 720) was a Muslim general who led the Islamic conquest of Spain in 711. The Rock of Gibraltar off the southern tip of Spain is named for him. Gibraltar is a corruption of “mountain of Tariq." More than one million Muslim travel to Mecca, Saudi Arabia to perform the Hajj (pilgrimage) to the Kaaba. The kaaba is the most sacred site of Islam.